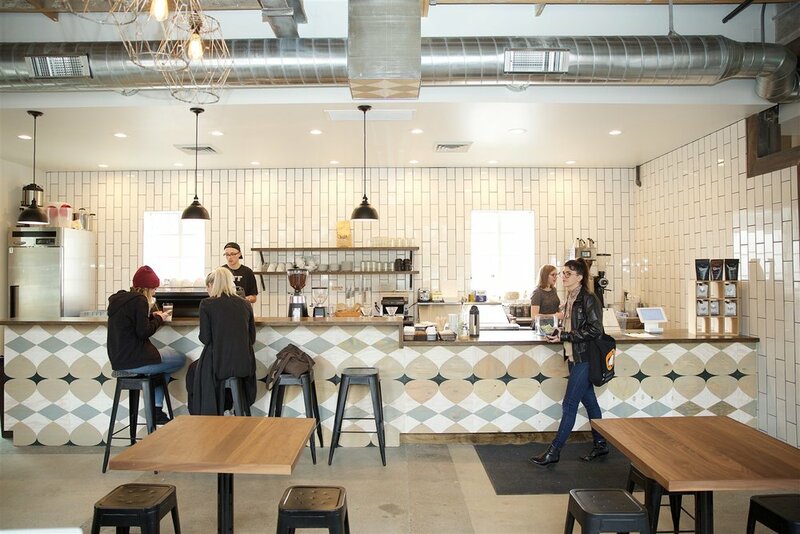 At Publik Coffee Roasters in Salt Lake City, UT, fit hipsters in ski beanies, coffee steeped from Salvadoran beans light-roasted just the day before and airy post-industrial décor have us wondering if we're in Brooklyn, Portland or Vancouver, BC. 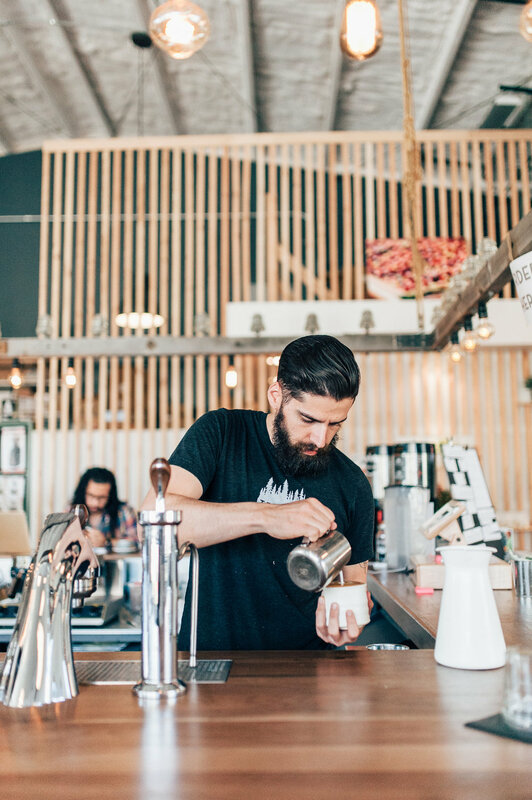 But Salt Lake City these days is rich in au courant cultural diversions, making it a dynamic and fun hub for a ski trip – and a great place to taste what small-batch specialty coffee roasting is all about. 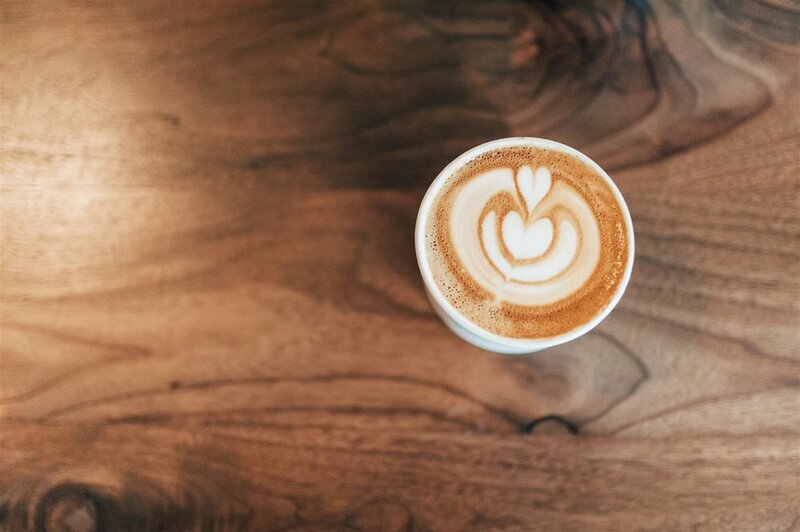 Known as coffee’s “Third Wave,” specialty roasting has more in common with wine tasting, craft brew and the farm-to table scene than with Maxwell House or even Starbucks. Instead of joe that tastes predictably uniform from day to day, the idea is to highlight distinctive flavors of each sustainably sourced and freshly roasted bean, often without the caramelization and carbonization signature to mainstream dark roasts. “Most specialty coffee is lighter roasted, and you're trying to preserve varietal and regional flavors and characteristics,” says Ryan Gee, 39, head roaster at Publik. Those flavors vary more widely than many java drinkers realize. “Coffee from Central America is very different from coffee from Southeast Asia or South America or Africa,” Gee explains. Ethiopian beans, for example, can have a fruit-forward quality. Central American beans may be snappy or zesty. Indonesian beans may be sweet, with a sharp finish. Even within regions, each crop of green coffee is distinctive. And like wine grapes, varietals also carry the flavors of their particular terroir, even influences from the specific fruit trees in the farmer’s shade canopy. Bringing out those flavors (instead of the taste of the roast itself) requires a skill set that’s half food science and half art. “It’s a lot more involved than putting coffee in the roaster, turning it on and waiting until its done,” Gee explains. Time, temperature and air flow are manipulated throughout the roasting arc (ten to fourteen minutes per Publik’s 20-pound batches) to enhance or minimize each varietal’s flavor components – sugars, acidic compounds and lipids – to suit both the bean and the roaster’s own style. We get it! Here are four of Ski Travel Guru's favorite places for a quality coffee buzz.